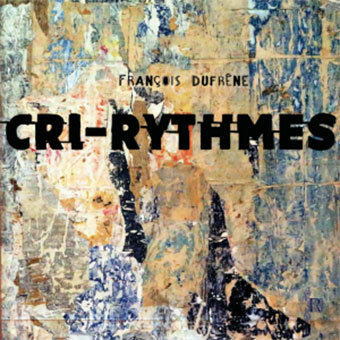 A remastered vinyl issue of the impossible-to-find album Cri-Rythmes by the French sound poet François Dufrêne (1930-1982). First published on cassette in the 1970’s, this LP holds tracks not available since then. Dufrêne swallows the microphone, gargles the capsule, then vomits up the cables. Edition of 250 copies only. Comes with insert with a beautiful memorial/tribute written by Bernard Heidsieck in 1983.